This couple have had a very fun idea and is to take a picture of their wedding and the guests can paint it to their liking. 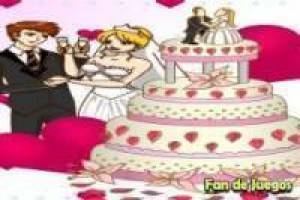 In the photograph, we will see the image of the moment in which the couple prepares to cut the cake and we will have to color it. On the right side of the screen you will find a wide range of colors that you can select with your brush. Take the selected color to the area you want to apply it and it will be filled automatically, without having to be careful drawing to avoid leaving the lines. You can create as many images as you want, varying the colors over and over again. Color your wedding photo with this fun game. 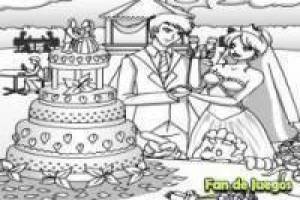 Enjoy the game Color your wedding, it's free, it's one of our wedding games we've selected.